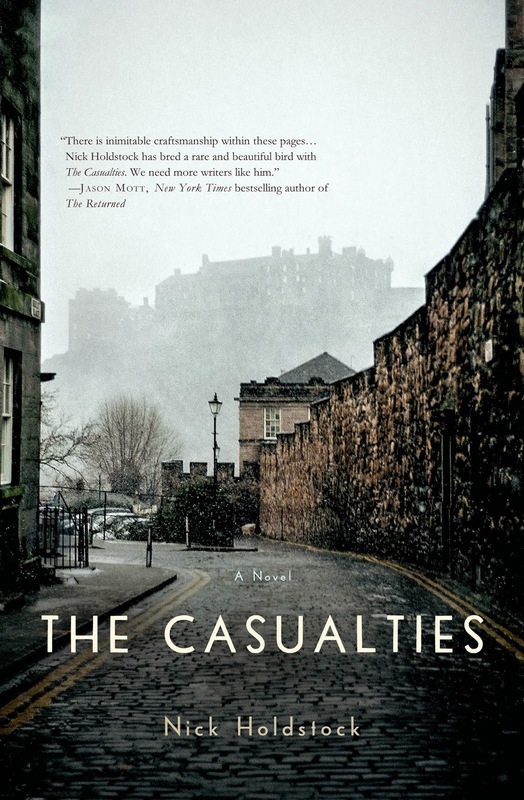 Nick Holdstock's gripping debut novel The Casualties is unlike any other novel you've read. (Trust me on this.) About the moments leading up to disaster, it's also very much about human connection--and disconnection. Nick's also the author of two non-fiction books, China's Forgotten People, and The Tree That Bleeds. His articles, reviews and essays have appeared in the London Review of Books, The Independent, N+1, The Los Angeles Review of Books, Dissent, VICE, Salon.com, Literary Review and The Dublin Review. 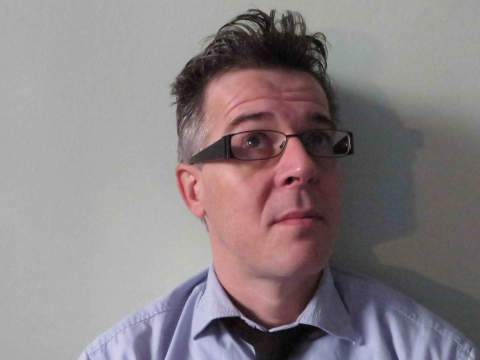 He's the recipient of a 2012 Robert Louis Stevenson Fellowship and a 2014 Willesden Herald Short Story Competition. I always want to ask, what sparked this novel? What was it that was obsessing you that made you know you had to write this? I think that sometimes we, as writers, are surrounded by a lot of great material without realizing it. We’re too stuck in our various ruts and complacencies to wonder why, for instance, our Italian neighbour calls loudly out of her window at almost the same time every day but never receives an answer. A lot of the elements of this book were part of my life without me thinking they might fit together. Like Sam, the book’s main character, I was working in a second hand bookshop, and was thus exposed to all kinds of different people, both the customers and the volunteers who staffed the shop. Like him, I opened many bags and boxes of books that had been donated by the public, and on each occasion made some automatic (and probably unfair) judgment about them based not only on the books they had given away, but on the photos, letters and other personal items that were sometimes left inside. 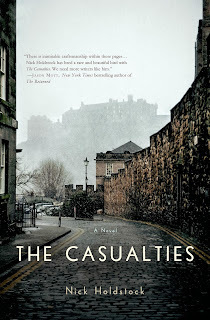 And as a long-term resident of Edinburgh, which is a very small (even intimate) city, I was used to seeing the same kinds of unusual characters as those depicted in the novel. I saw a woman who always wore a bridal veil, a man with a beard so long and matted that birds could nest in it. My friends and I would talk about these people as if we knew something about them, but for the most part we were guessing. So you could say that there was all this kindling around me. The spark that made me think all this could combine was Sherwood Anderson’s novel Winesburg, Ohio, a book about a small town in the 1920s populated by people that the narrator calls ‘grotesques’, but then depicts as anything but. Though apparently eccentric, even extreme, they are better seen as people so gripped by certain ideas – those we all believe in to some degree – that they have become distorted. In Anderson’s novel the reader gets to know these grotesques through George Willard, who works as a reporter; I thought that working in a bookshop in a small community might be just as good way for a character to learn the secrets of people. I love the whole idea that your story leads up to the exact moment of disaster, and then we are left to ponder what happens next. But it’s also much more than that, because it’s really about the people in the town, their inner depths and complicated connections. Can you talk about that please? I had no interest in writing a post-apocalyptic novel, and so for anyone who comes to the book expecting this, I can only direct them elsewhere – probably to Cormac McCarthy’s The Road. In my novel, the future functions mainly as a place to look back on our present from. I thought having a full account of what life is like in 60 years’ time would be too much of a shiny distraction from the events based in our present; I leave that sort of thing to bona fide science fiction writers. The reader will, I’m afraid, have to take my word for it that in the little fictional universe of this book the future is considerably better than our present, and certainly not what I’d call a dystopia. So much of this fine novel is also about the way we tend to think we have time to do the things we want and need, too, but anything can happen at any time. So, I want to ask, did writing this novel change your world view at all? And what in the writing surprised you? I’m not sure I have anything fully developed enough to merit being called a world view. I do admit to having a broad streak of pessimism that I further fuel by reading history and watching the news. But I must also have some degree of optimism or else I wouldn’t write journalism or non fiction books about China – I must believe on some level that if people are better informed then there’s a greater chance they’ll elect better leaders, be more tolerant, and consider altering their consumer habits so as to lessen their carbon footprint. What surprised me in the writing of this was that I allowed myself to put pictures in the novel. Though there are a number of fine writers that have done this – I’m thinking mainly of WG Sebald – in general I’ve not been a fan of this practice. It’s often seemed gimmicky and unnecessary, and in a lot of cases having a photo, rather than its description, has added very little. But I thought having photos in my book made sense because they are like relics of the world before the disaster. The narrator includes them for the same reason that the story is being told: it’s as an act of preservation, a kind of remembering. I want to talk about the haunting sense of time in the novel, the way we cannot let go of the past or free ourselves so we can have a different future. And at the very end, there is that lovely moment, when each second is a world. Do you think it takes tragedy to get humans to realize the importance of every moment? While I think that adversity puts things into perspective, the interesting thing is that I doubt this feeling lasts long. There’s probably something unhealthy about focusing on the importance of every moment. And now I think about it, I wonder if this is even true. It seems to suggest a kind of competitive counting up of precious moments, as if twenty years spent loving a person is twice as significant as ten. What kind of writer are you? Do you outline, use maps, or do you just wait for that pesky muse to appear? I tend to write down fragments of plot or character that gradually breed into a loose plan. Before I start writing I need to at least have the illusion that I know where the story might go, though often it will veer in some other direction along the way. If Satan was real, and speaking to people in English right now, how would His voice sound? I’d like to pretend that I’m just theologically curious; the more mundane truth is that I have a story for Him to tell. How do the people in Edinburgh feel about you having written a book in which their city is destroyed?